Top Tip-Stop Laughing & Remember to Plug Your Course! 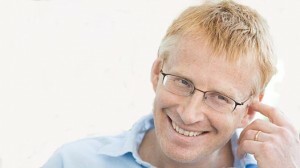 A while back I was asked to do a BBC radio show with Dr Phil Hammond. I accepted with alacrity as a) I love to push my boundaries a bit, b) I have a course to promote and c) it sounded like it would be fun. It certainly was fun! Almost too much fun as it happened. Dr Phil is a GP/comedian and was making me laugh so much off air that it was hard to stop when the mike was switched on! Rosa May Parks, Emmeline Pankhurst, Judi Dench, and Mary Wesley, although he also let me have Beryl Cook too as I couldn’t decide. My venue was Graceland (so I could pop upstairs and see the bits you’re not allowed to see on the tour!). You can read more about those women here, in Your Dream Dinner Party if you’d like. I can really understand why people commit indiscretions on the radio when being interviewed now. There you are in a small and cosy studio, just the two of you, chatting between the records, bonding and having a laugh. You really do forget that you are talking to quite a few other people as well. In fact, at one stage Dr Phil forgot to turn off the sound during the traffic update and you can hear him in the background talking rather disparagingly about Maggie Thatcher. I was still giggling loudly as me and the weather woman had ever so gently ganged up on him about gender bias in the world of business. and he was moaning away about being picked on. Heaven knows what the audience made of that! And thank goodness I wasn’t saying anything awful…imagine! Anyway, here are the details of my course which is a great one for business women and a wonderful opportunity to give your career a boost and better understand how the men you work with tick! It’s called Speak Up, a one day seminar, March 12th, at The Royal Crescent Hotel in Bath. You can read all about it and book here and if you have any questions, please email me jane@changingpeople.co.uk or call me for an informal chat on 01761 438749. I can’t promise you Phil Hammond will be there but Johnny Depp has stayed at the hotel in the past….